Develop an app tool for implementing strategies for building talent pipelines to benefit employer-led networks, education and training providers, and credentialing organizations. Illinois workNet Portal System will provide online customer and program provider outreach engagement, facilitation, management, tracking, and reporting tools to manage the SNAP E & T program management portal. Improve transparency in the credentialing marketplace by maintaining the open-licensed Credential Registry (CR) and Credential Transparency Language (CTDL) while promoting an open applications marketplace. Coordinate and work with ISBE on planning, testing, and implementing Open Educational Resources (OER) by offerings tools for curating, sharing and creating education and career development resources. 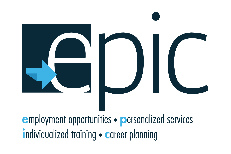 Develop and support electronic tools and services offered on Illinois workNet to support workforce development in administering the required statewide activities under the Workforce Innovation Opportunity Act (WIOA). Utilize IwN technologies and best practices for streamlining services, information and tools that provide: personalization, real-time dashboards, reports, and communication, engagement and facilitation tools; Assist with developing intake and enrollment processes; Provide guidance and technical assistance to intake location staff and selected service providers; Design and implement outreach for encouraging participation in print and online formats. Provide support to the Illinois P-20 Council’s College and Career Readiness Committee, EdSystems efforts to implement the recommendations that were included with the PWR Act. The role of SIUC CWD is to develop a Web application prototype to be used initially by up to thirteen communities across Illinois that have been awarded two-year mini grant effective April 2017 for developing college and career pathways aligned to the PWR Act’s endorsement expectations.